a CONVERSATION with EIRIK KINSERDAL.. I am a 16 years old, I will turn 17 on the 20th of December, cyclist from the small town Øvre Årdal in western Norway. 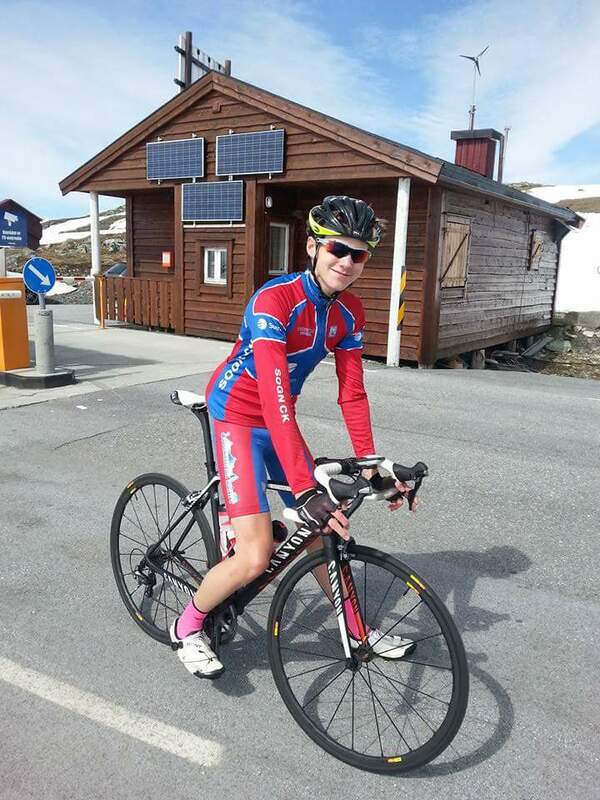 I am riding for the Norwegian cycling club Sogn CK. I started cycling because I like putting in the work and see that it actually makes a difference. Cycling is a sport where you really can use the phrase "hard work pays off". I have been running a bit, but that's about it. I have also played a bit of football and handball but those kinds of sport don't really suit me. I basically do road racing and participate in those races that I can, but the harder the better. I really like tough hilly circuits where you can see who really has the legs, not just the head with them. I own three bikes, but I miss a time-trial bike. My favorite piece has to be the Garmin edge unit, because it views my heart rate and my power in real time, and thats good to know. My greatest achievements have to be finishing consistently among the top 20 juniors in the peloton, but I really hope that there is a lot more to come. I kind of like the best GC riders, but if I had to choose Id have to pick Alberto Contador. Where I live I don't have too much to choose from, but my favorite has to be riding in the mountains in summer, because time really flies by when you are climbing. I really don't have any favorite music. I listen to what finds me at the moment. There is not very much more to say about me, actually, but I like long and steady climbs, if I am in great shape though ;-) . I hope to continue my good work and keep developing and I will do my very best to perform as good as possible.